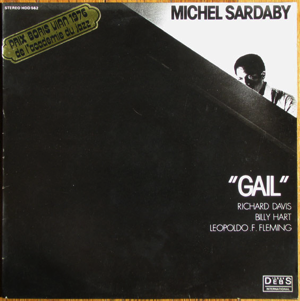 Sardaby is a French-Antilles pianist whose 1970s albums are positively lush with both conventional and electric keys. I first heard this album at an old Bump Shop party in New York when Leon Michels (of the El Michels Affair and Big Crown Records) was guesting and he dropped the monster jazz-funk track off of here: “Welcome New Warmth.” That track still knocks but I find myself constantly being drawn back to the album’s title cut and A1 track. I’m a sucker for Rhodes – no surprise there – and this has such a mellow, leisurely feel to it that I was just want to curl up inside of it. It’s really what we should mean by “lounge music” without any of the corny connotations. thanks for the heads up on this one… me likey !! And for the numerous tracks over the years !